Announcing the first of many more to come: the Girl Scout Run, at FFMP, at on Saturday, March 14. 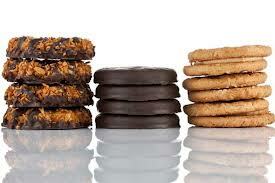 Please join us for a 2-mile out-and-back flat route, to be followed by coffee and Girl Scout cookies. All finishers receive a lucky green medal. Open to all Girl Scouts, fans of Girl Scouts, and fans of cookies. The race is free. Wear green to support the Girl Scouts!